I have the pleasure of leaving for coastal Maine after work today...we'll spend the holiday weekend in Boothbay Harbor (Hahhhbahh) with a close friend and his family. Labor Day marks the beginning of my favorite sailing season in the Northeast U.S. If you're lucky you're still day sailing well into October until, at some inevitable point, the chill winds blow you back down the hatch for another long winter. I know, I know Tillerman...there is always frostbiting but not all of us are cut from that cloth. But the cold dark winter seems a way off on this bright, late summer morning...with the promise of Maine just past a few more emails in my inbox. Maine and I have a history. It will be, for example, nearly 20 years this August since I participated in a 26-day Outward Bound course out of Hurricane Island in Penobscot Bay. We - the young men and woman of HIOBS August 1988 - didn't spend a whole lot of time on Hurricane...encouraged instead by our instructors to plan and provision several lengthy cruising excursions in classic, Pete Willauer-designed open wooden pulling boats. 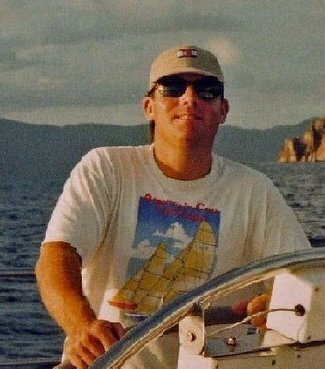 I grew up sailing on Lasers and the like but I trace the genesis of my passion for cruising and living aboard sailing boats to that challenging, invigorating, Maine-soaked summer month when I was lad of 18...so many years ago. If you have a few minutes click on the Outward Bound link and read about the Hurricane Island program. It's a gem. Have a tremendous holiday all!